Drilling Hesston water well, date approx 1960. At left, Marlow Unruh and Ray Hackenburg. 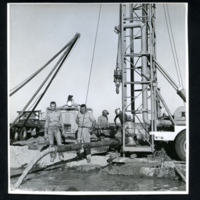 unknown, “Drilling Hesston water well, 1960,” Hesston Public Library, accessed April 19, 2019, https://hesston.digitalsckls.info/item/1493. 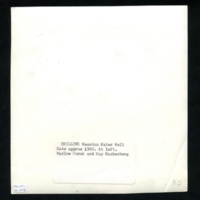 6.5 in x 6.75 in.